Hey, I know I’ve been missing in action for quite some time but I’m back now and ready to move on! 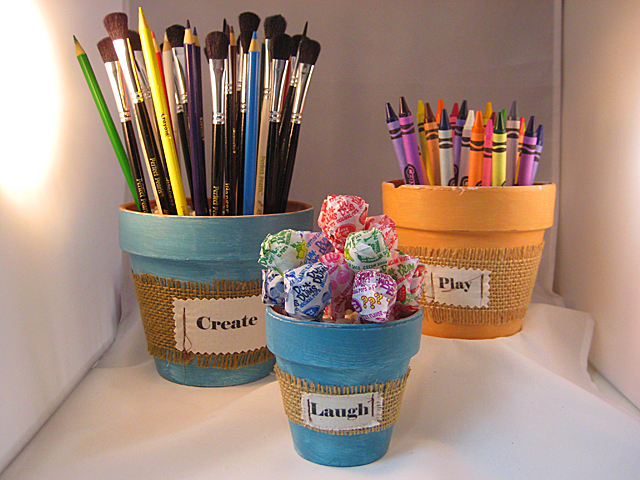 I’m kicking August into gear (better late than never) with these back-to-school pots of creative fun. It’s been quite a few years since I’ve had children in school but I tried to remember what my kids loved about school – art class! Who doesn’t love art class? It was always one of my favorites, right on into high school. Can you imagine sitting down at a desk with these pots full of goodies and a stack of clean paper? 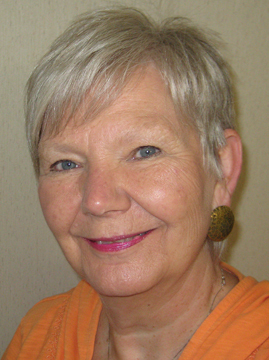 Wow – could just sit and draw, paint and doodle for hours. These were so easy to make and they look very cute sitting in the middle of a classroom work table. 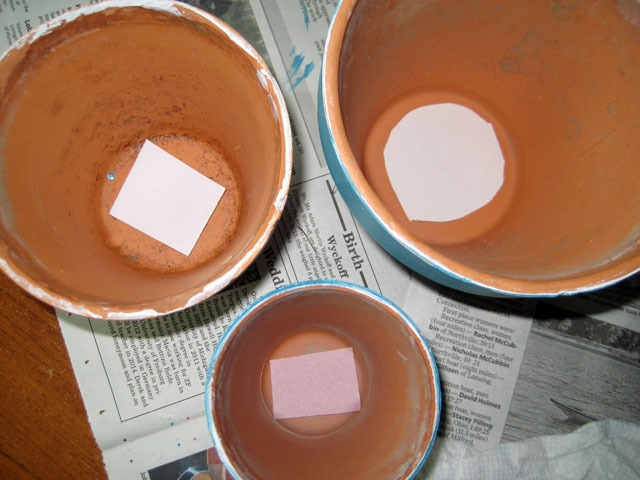 I started with three different sizes of used Terra-cotta pots (you have the option to buy new if you must). I washed them in soapy bleach water and let them dry before painting a coat of Kilz primer on them. They’ve been in the garage just waiting for me to think of this project to use them in. I brought them in and painted them with some sampler paint I had on hand. 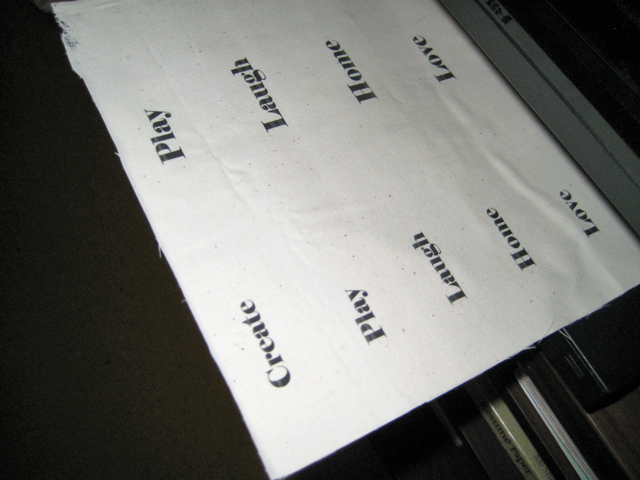 While the paint was drying I wanted to experiment with printing on muslin. 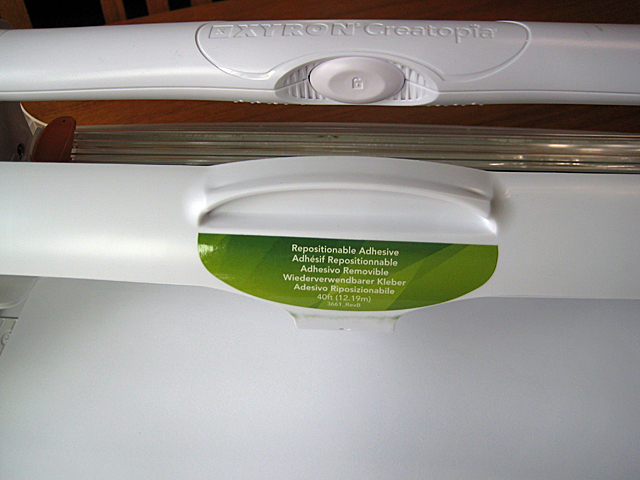 I created my own printer-friendly muslin by running a sheet of office paper through my Xyron Creatopia with Creatopia Repositionable Adhesive Refillz. 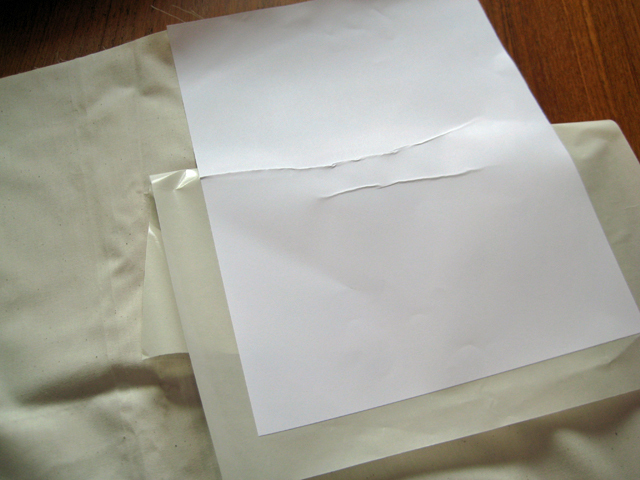 I then peeled the backing and placed the sticky side down onto my muslin and trimmed around it. I was able to process that through my printer. I’m excited just imagining all the possibilities now! 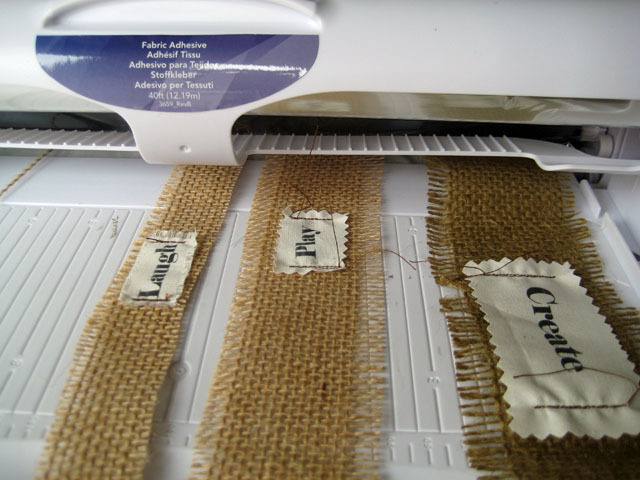 I cut out the words I wanted to use and sewed them to my burlap strips which I had cut and measured. These strips are processed through the Creatopia again but this time I used the Creatopia Stickz Fabric Adhesive. This stuff is soooooooo sticky. It clings very well to the painted pots. 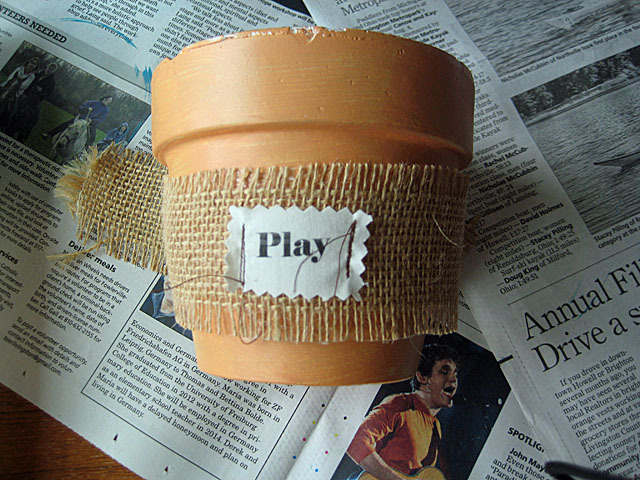 I simply wrapped the burlap strips around the pots and trimmed any ends that were too long, overlapping them just slightly. 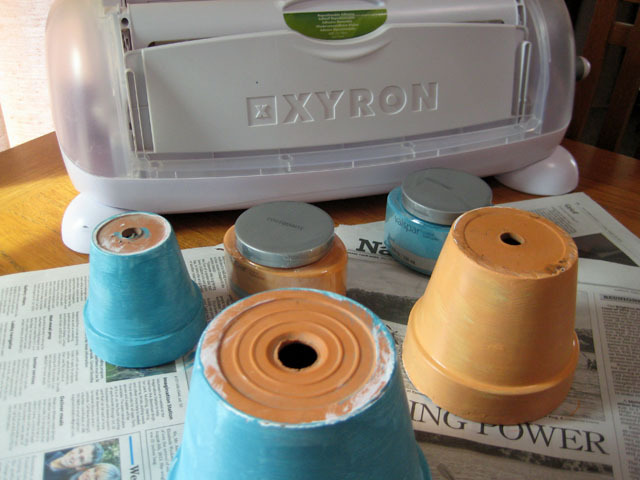 I used beans in the pots to hold the items up so needed to cover the holes in the pot bottoms. Easy peasy – just cut some chipboard pieces, ran them through my 2.5″ Create-a-Sticker with permanent adhesive and stuck them to the bottoms. Such a cute, easy and inexpensive project for creating table decor for any occasion. nice. glad you are back. please come back to scrapbook peddler with some classes.thankyou. These are super Cute Linda!! Thank you, Heather! I had fun making them.